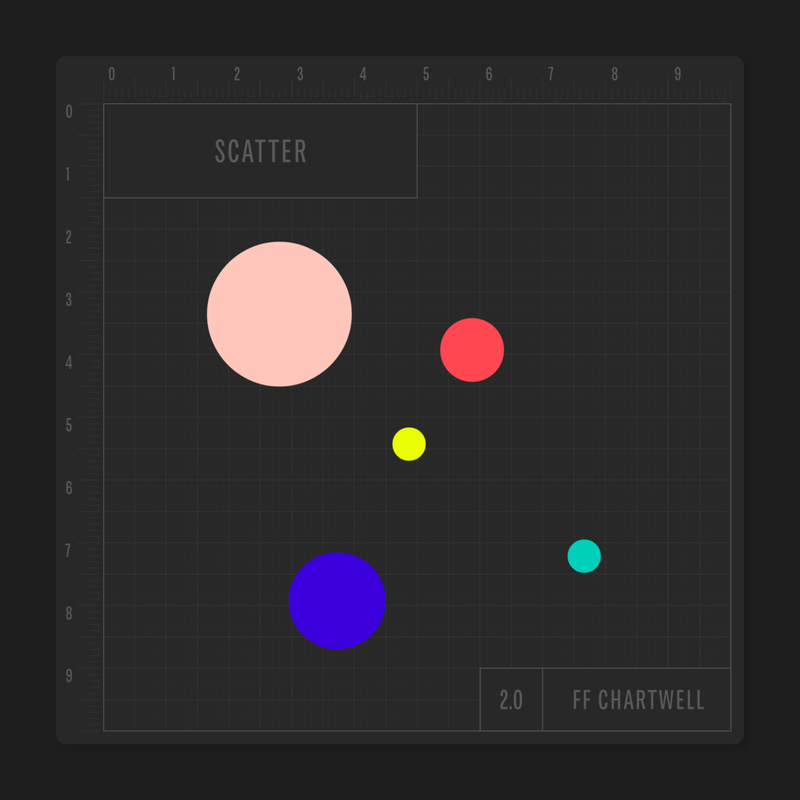 Travis Kochel’s FF Chartwell is a typeface for creating simple graphs. Designed by Travis Kochel in 2012. Published by FontFont. After working on an annual report that required each bar chart and line graph to be produced manually, Travis Kochel created an automated solution in an unconventional package: He used fonts. Inspired by the special functionality built into typefaces like FF PicLig where typing “<3” outputs a heart ♥, Travis began with a single font that made pie charts. Type “25” and you get a quarter circle, “50” makes a half circle, and so on. 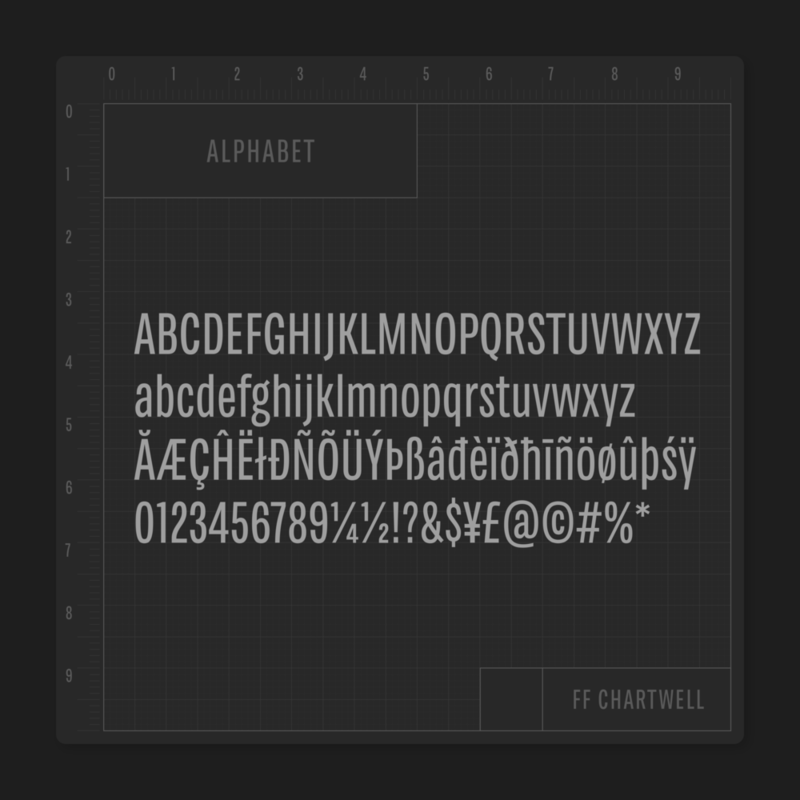 FF Chartwell is a set of fonts for making simple charts, or using a little ingenuity, more complex infographics. 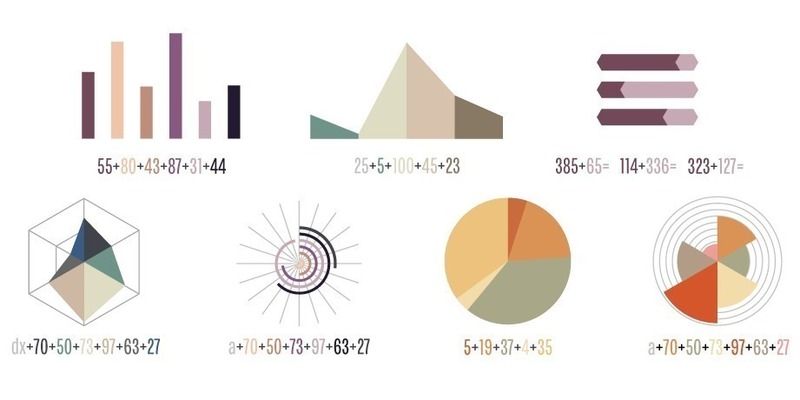 Make bar charts (horizontal and vertical), line graphs, ring, rose, and radar charts, and of course, pie charts, all with simple strings of numbers. 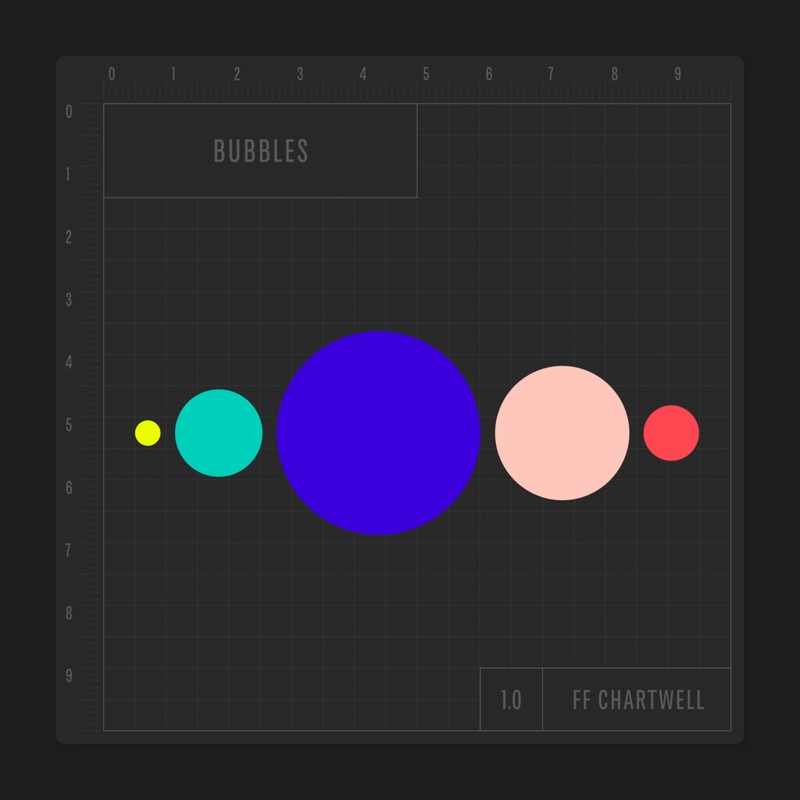 In 2016, the family was additionally revised, adding six new chart styles: bubbles, scatter, lines, floating bars, floating areas, and floating rings. The updated version–called Coordinate Series–changed from previous reliance on the ‘stylistic sets’ and ‘stylistic alternates’ OpenType features, to using the much better supported ‘discretionary ligatures’ feature. 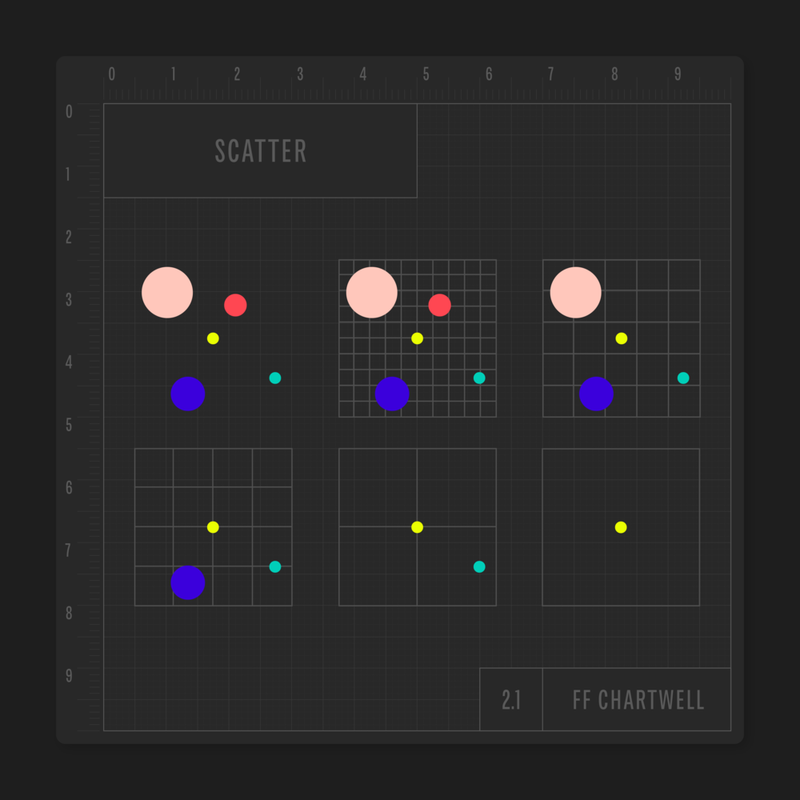 Before you buy, be sure to see the guide ‘How to use FF Chartwell 2.0.’ (available as PDF, 449KB. The family comes in .ttf format, working also on Mac systems.